The Classic Contractor E20 is a great entry level mobile spray foam insulation rig. It was meticulously designed for the budget conscious spray foam insulation contractor, ideally suited for contractors that spray up to two sets of open cell or closed cell spray foams per day. 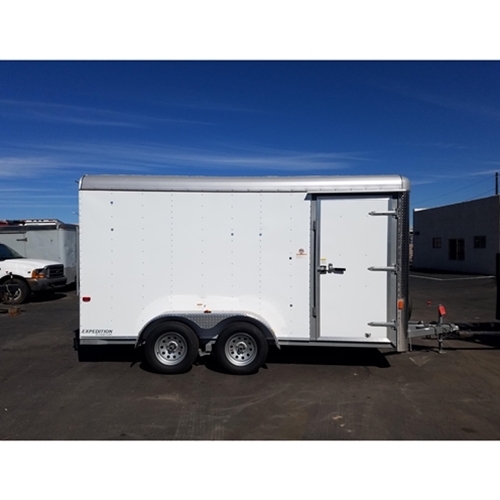 This is a great starter unit for new spray foam operations, or an excellent back up rig to add to your existing spray foam fleet. The Classic Contractor E20 can handle full scale projects, and it is also excellent for smaller projects such as room additions, rim and band joists, or attic insulation projects. 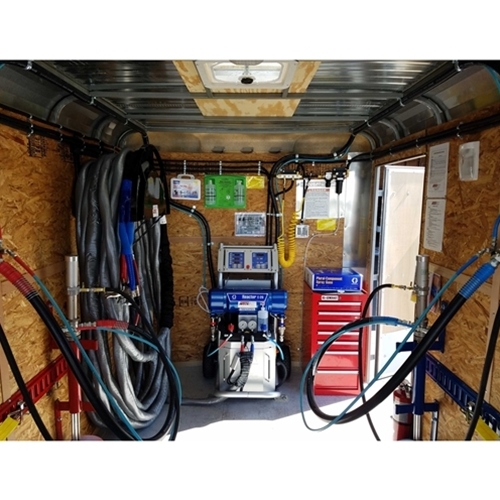 If you are not sure of what you need, our experienced and professional staff can help you determine the best mobile spray foam insulation rig based on your current needs and future plans for growth. The Classic Contractor E20 features the Graco Reactor E-20 with 160ft of heated hose (upgradable to 210ft). The E20 Reactor has ample output for open cell and closed cell spray foams. We have designed a Custom Hose Rack and Custom Pump Holders to make it easier to manage your hoses and drum transfer pumps. 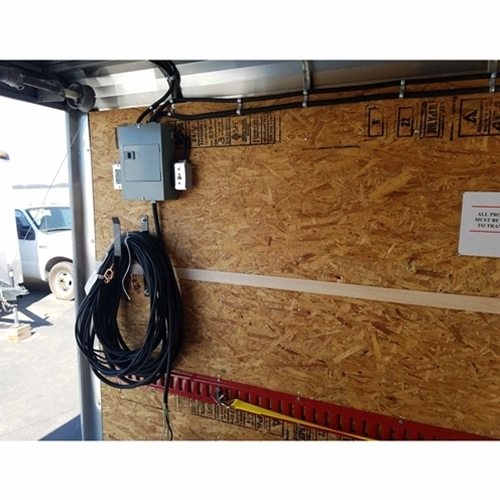 The Classic Contractor E20 rig was designed to easily run off of 220 volt shore power or to connect to the optional gas powered generator. 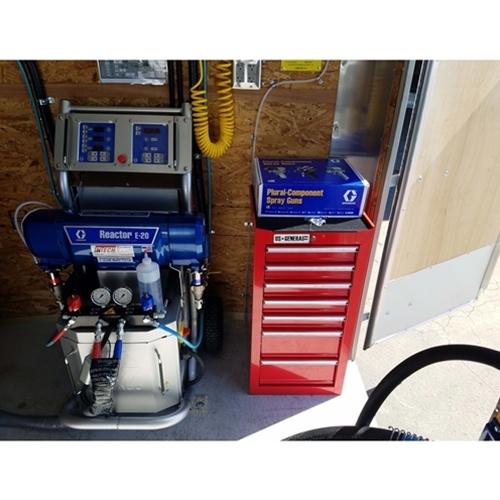 A gas powered air compressor is included, which powers the air operated drum pumps and the Graco Fusion Air Purge Gun. 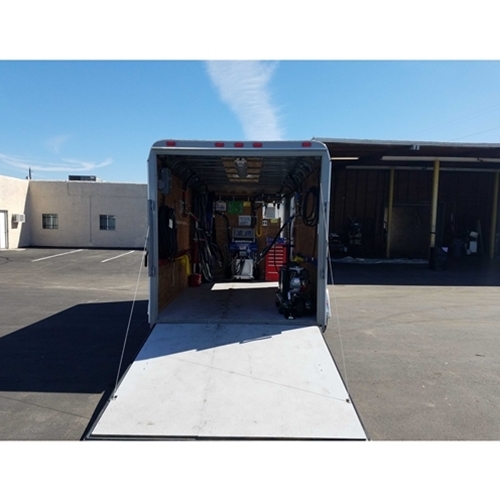 The equipment is installed in a 14x7 factory ordered extended height cargo trailer with an open floor plan and tandem axle with brakes. 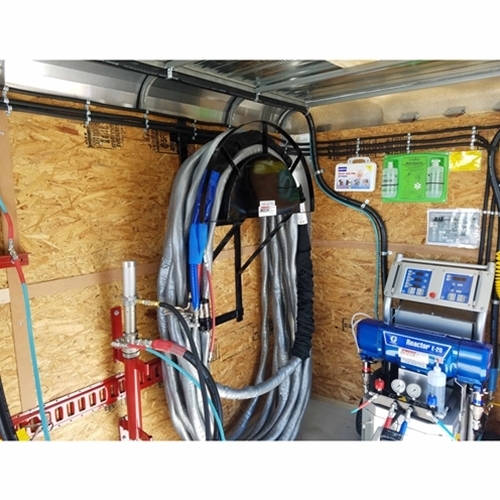 Order your custom mobile spray foam insulation rig today with Intech Equipment and Supply! The unique layout of our E-20 Contractor Series allows for easy towing ability behind any standard pickup. This eliminates the need to upgrade to a ¾ or 1 ton truck, which also plays into the budget minded contractor. * Pictures are for examples only. We build and customize to each of our customers specifications. The picture may not reflect the finished product. Please inform your sales rep if you would like to duplicate the picture as shown.